Even in the best of times, our furry, flying and four-legged friends have a tough time dealing with all the mayhem created by us naked apes. Whether it's dynamiting beaver dams, choking endangered sea turtles with plastics or spraying pesticides that decimate the pollinators essential for growing our food, we humans are the nastiest force to hit the animal kingdom since an asteroid wiped out three-quarters of all life on Earth 66 million years ago. Still, nature can be surprisingly hearty and resilient. Here in the Green Mountain State, modest but important efforts are constantly under way to protect and preserve the natural world — or, at least, our small slice of it. Though such quiet endeavors rarely make headlines, once a year we "paws" to recognize the developments that are helping, or harming, Vermont's wild kingdom. Burlington's Intervale Center is always buzzing with activity at this time of year, but this summer it got an extra-sweet deal. In June, the nonprofit was one of 60 communities nationwide to be awarded a free beehive through the Honeybee Conservancy's Sponsor-a-Hive Program. Mandy Fischer, the Intervale Center's development director, said her organization received all the basics for getting a hive up and humming, including a bee house, beekeeping tools, a bee suit, educational materials and a starter hive. 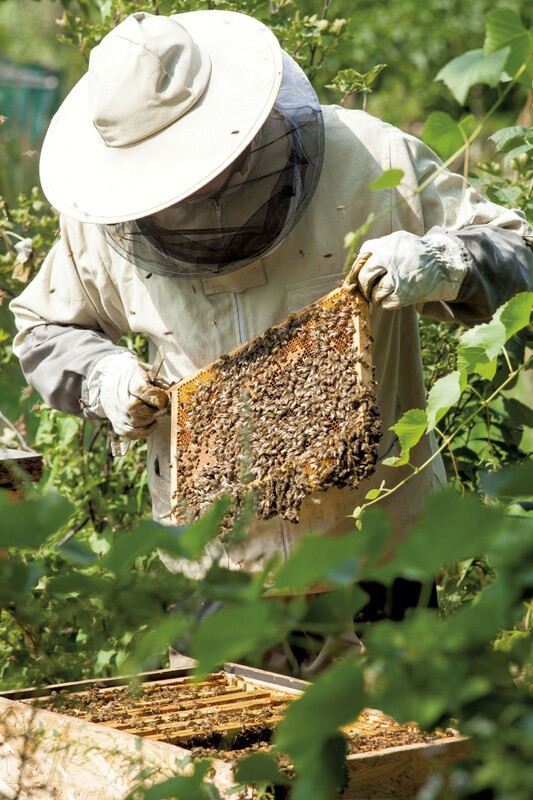 An apprentice beekeeper from Burlington, whom Fischer declined to identify, volunteered to tend the hive under the supervision of a more experienced mentor. The hive isn't expected to produce much honey in its first year, Fischer added. This hive, located near Hallow Herb Farm, is one of several apiaries at the Intervale. As such, it's part of the agricultural center's larger effort to protect bees and other pollinators and to create a more sustainable community-based food system, Fischer said. Since the Honeybee Conservancy launched in 2015, it's created 165 bee sanctuaries across the country — a response to the alarming phenomenon of colony collapse disorder. Over the past decade, bees have been dying off in unprecedented numbers, causing financial losses estimated at more than $2 billion, according to the U.S. Department of Agriculture. A grant from the cosmetics company Lush will help keep land in Marlboro beaver friendly, flood free and, well, lush. Donated to Protect Our Wildlife, a nonprofit based in Stowe, the funds have already been used to build and install three culvert protectors at a pond and wetlands on Grant Road in Marlboro. These contraptions, constructed of heavy-gauge steel mesh in a wood frame, are placed over the mouths of culverts to prevent beavers from clogging the drains and potentially flooding the area, said Brenna Galdenzi, president and cofounder of POW. With this protection, beavers can go about their work in a manner that minimizes potential conflict with their human neighbors, Galdenzi said. "The beavers can stay there; they won't be trapped, and there won't be flooding," she continued. "One thing which is kind of cool about beavers: We can't outwork them, but we can outsmart them." A Grafton-based company called Beaver Deceivers installed the culvert protectors in June. That project and a smaller-scale effort in Halifax used about $3,000 of the $5,000 grant from Lush, according to Galdenzi. "Beavers really are environmental engineers," she said. "They keep water on our landscapes longer; they create deep pools by making dams. They are the very animals that we need to help mitigate the effects of climate change and drought." The Marlboro project grew out of an initiative called Living With Wildlife that POW launched last year. The organization sent information to each of Vermont's 251 towns about using nonlethal, sustainable methods to resolve conflicts between people and wildlife, Galdenzi explained. Skip Lisle, founder of Beaver Deceivers, has been making a range of contraptions that he calls "flow devices" for about 25 years. They are "constantly evolving," he said. The version he designed and built for Marlboro is a modern one. "If you know what you're doing and you're creative and you're committed, I believe you can solve virtually every conflict nonlethally," Lisle said. "It's really a unique form of engineering. If [the devices] are going to survive the elements — I'm shooting for about 40 years — and survive the constant presence of beavers, they have to be well designed and well made." He added that the devices often lead to the development of "incredible" wildlife habitats. "It's very exciting," Lisle said. Galdenzi likewise believes that, whether the problem is beavers flooding roads or skunks and raccoons living under buildings, there are solutions that don't involve trapping or killing. "A lot of times beavers are misunderstood," she said. "They are such amazing creatures, just such neat animals, and, sadly, they're viewed as trash by a lot of people in Vermont." Is the Endangered Species Act ... Endangered? From the U.S. Environmental Protection Agency to the Department of Veterans Affairs to the Treasury Department, officials in the Trump administration have provoked public outrage at an unprecedented level and dizzying pace. Following last month's proposal — announced jointly by the Interior and Commerce departments — to strip the Endangered Species Act of several key provisions, those concerned about the natural world had reason to be alarmed. The proposal, if enacted, would weaken a 45-year-old law meant to protect at-risk plants and animals from extinction. Protections given to currently endangered species would not automatically be granted to newly threatened species, but would be considered on a case-by-case basis. In another rollback, the administration would like to strike language in the ESA that "guides officials to ignore economic impacts when determining how wildlife should be protected," according to a report in the Washington Post. While the explanation on the U.S Fish & Wildlife Service website makes the proposed changes seem benign and even "transparent," the Post and other observers have suggested that the protection of corporate interests is more of a priority for the Trump administration than protection of the threatened species of planet Earth. The changes might mean, for example, that officials would not be required to consult with scientists or wildlife agencies before approving permits for drilling or logging. In its attitude toward wildlife, this latest proposal follows previous actions by the administration, including removing a key provision from the Migratory Bird Treaty Act and loosening restrictions on lion hunting. While the latter is not an issue in Vermont, could these other federal-level rollbacks have an impact on wildlife protection in the Green Mountain State? In April, Tom Rogers of the Vermont Fish & Wildlife Department sent out an email titled "Eight Vermont Threatened and Endangered Species and Why You Should Care About Them." In his introduction to the animal octet, Rogers noted that Vermont legislators passed wildlife protection laws "more than a year before the federal Endangered Species Act." So we had to ask: Do Vermont's laws, er, trump federal laws? And would a weaker ESA negatively affect any of the animals currently on Vermont's endangered list? Rogers referred Seven Days to the manager of the Wildlife Diversity Program, Steve Parren. Parren said that, because federal laws supersede state ones, Vermont cannot have less wildlife protection than the former mandate, but it can have more. "As an example, the bald eagle is listed as endangered in Vermont," he noted, "but it has been delisted at the federal level." In fact, of the 52 animals listed as threatened or endangered in Vermont, only eight are federally listed. "The definition of 'endangered and threatened' is state focused under our state law," Parren added. "If states are able to adequately protect species, there should be less of a need for federal listing." But laws across all 50 states are not equally stringent, Parren pointed out, and not all species that might be threatened or endangered remain in Vermont year-round. If the winter habitat for a migratory bird were destroyed in a southern location, for instance, fewer of those birds would survive to fly north in the summer. This is one way in which a diluted ESA could affect critters in Vermont. Parren cautioned that he has not studied the federal proposal enough to know all of its potential impacts. But local animal lovers and conservationists may draw some comfort from the opening line of Rogers' April email: "Vermont is often on the cutting edge of progress, and our state endangered species law is a prime example." Oh, and the eight threatened and endangered species Rogers was writing about? 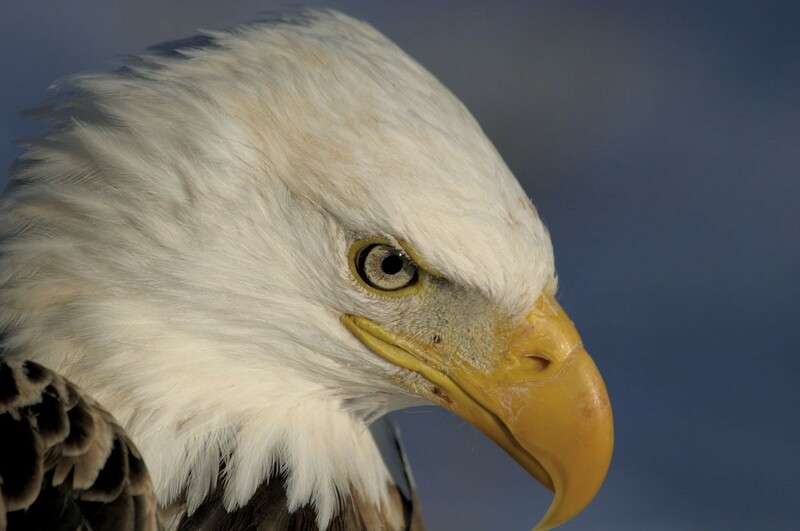 The bald eagle, little brown bat, timber rattlesnake, rusty-patched bumblebee, dwarf wedgemussel and Canada lynx are classified as state-endangered; the spiny softshell turtle and lake sturgeon are state-threatened. Parren noted that the entire state list of both plants and animals can be found on the department's website, along with other information about threatened or endangered species and recovery plans. The original print version of this article was headlined "Beavers, Bees and Bad Policies"